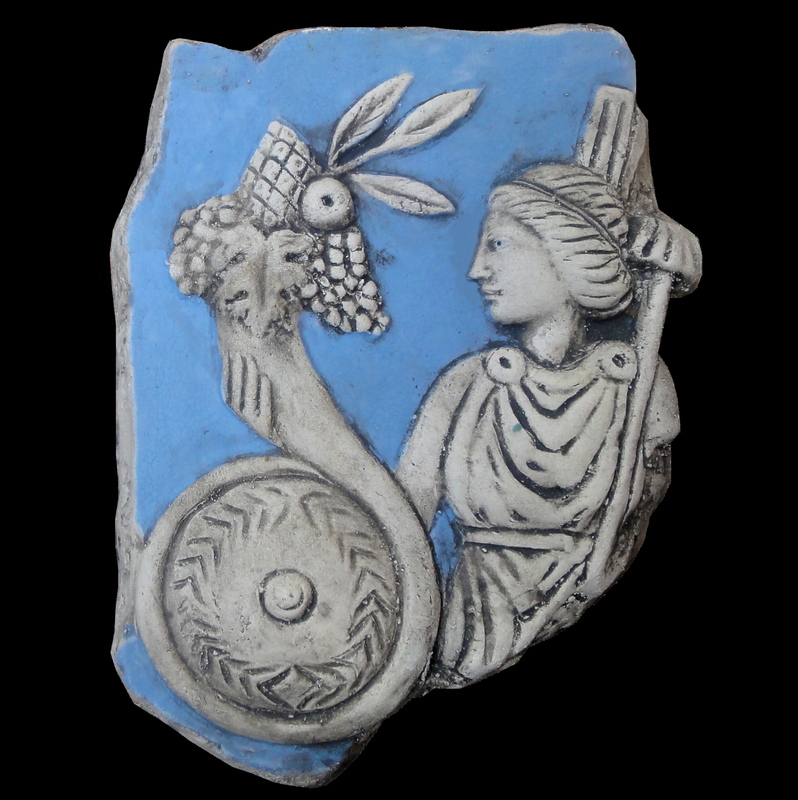 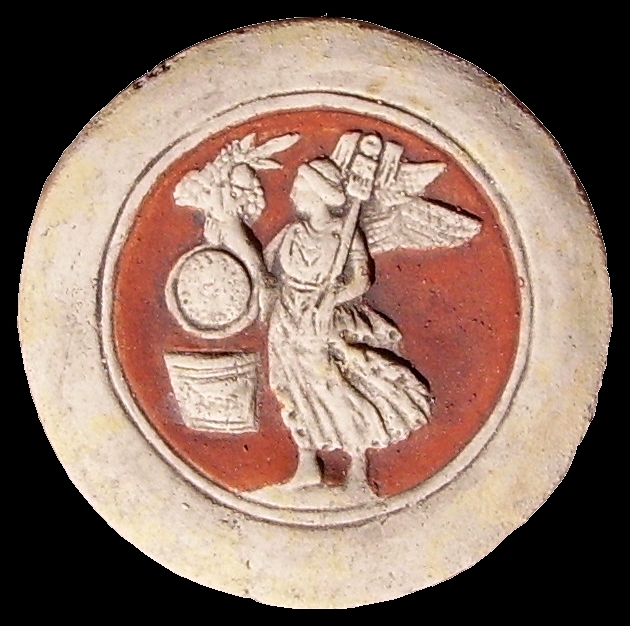 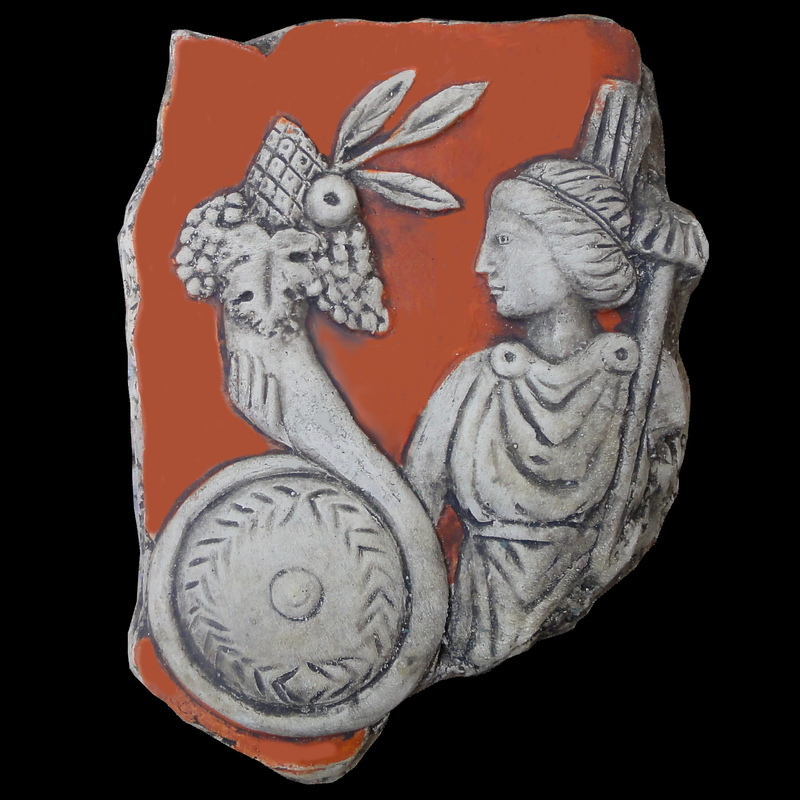 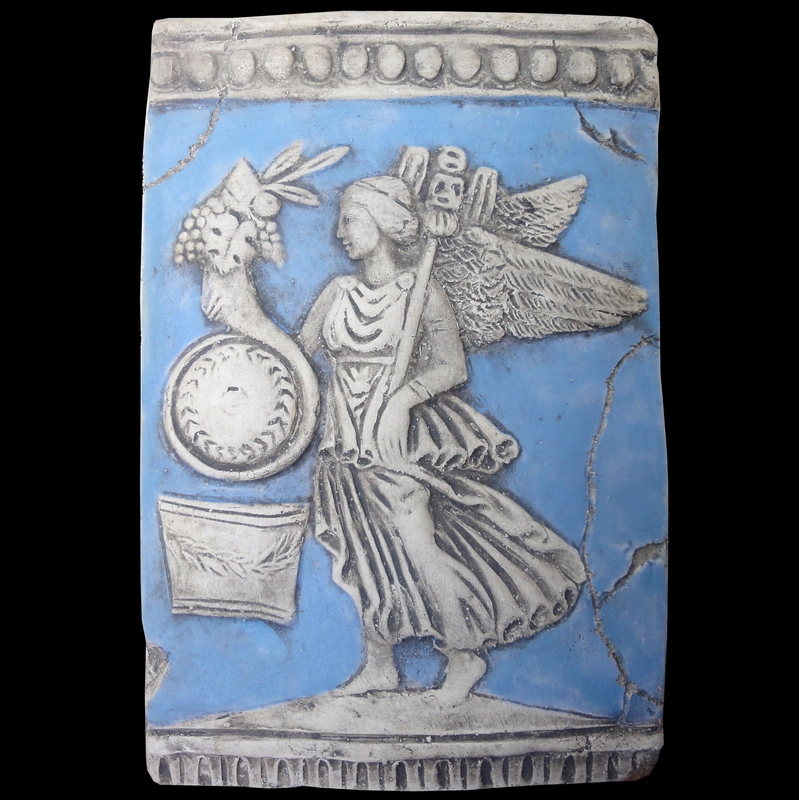 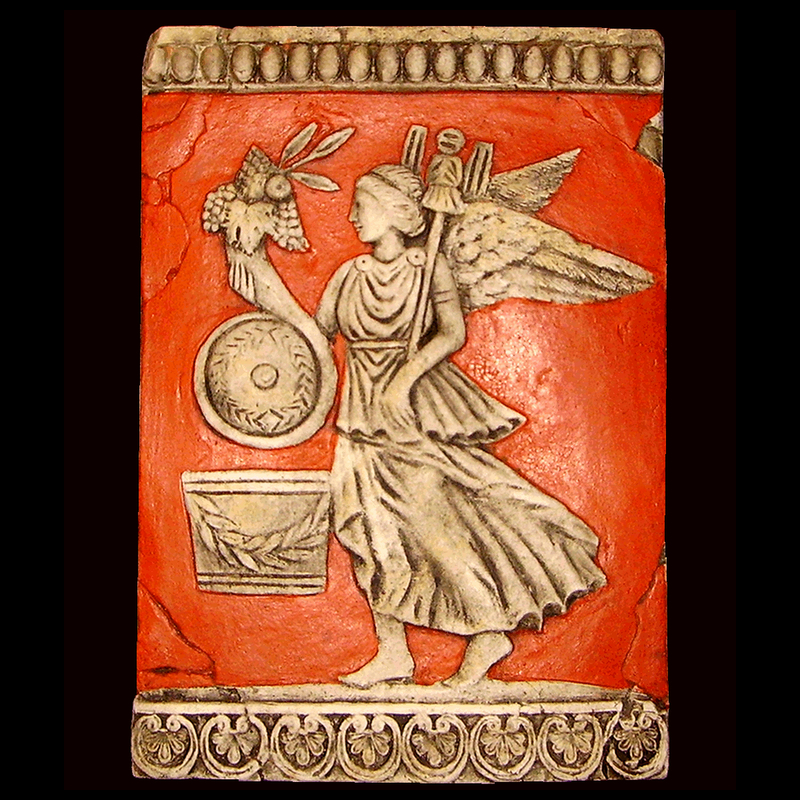 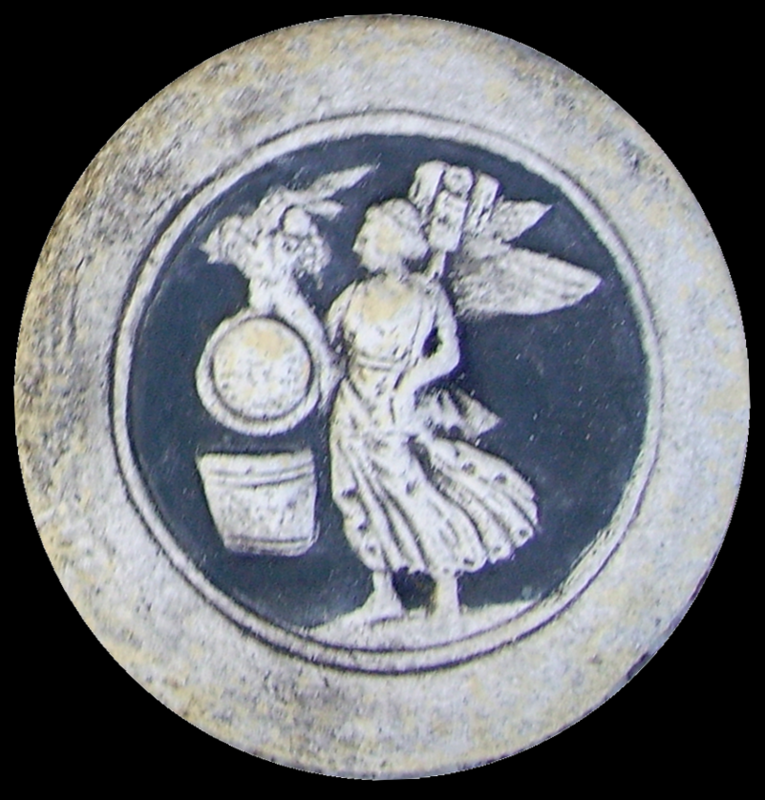 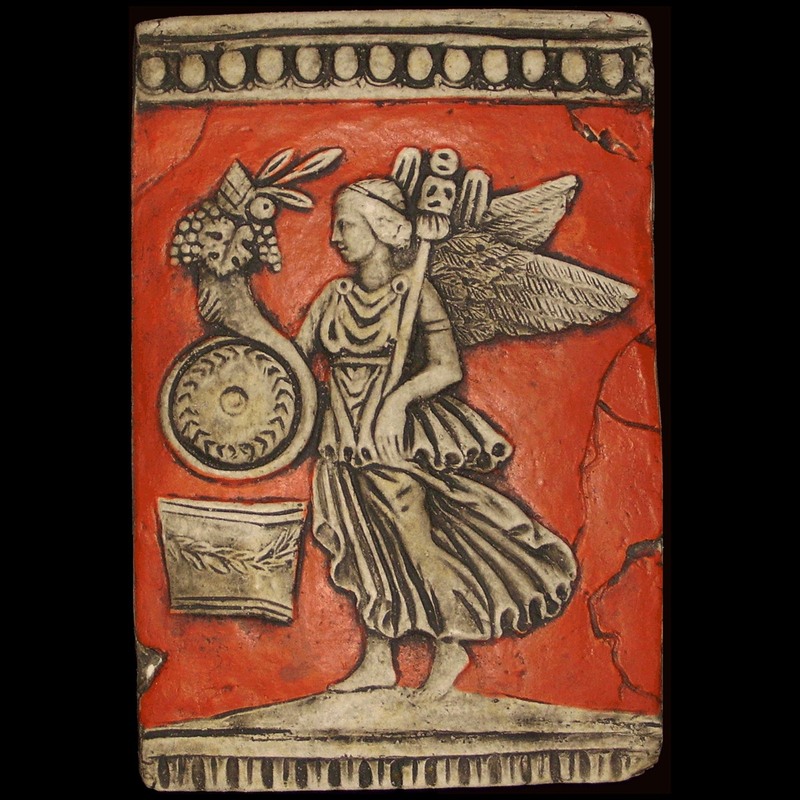 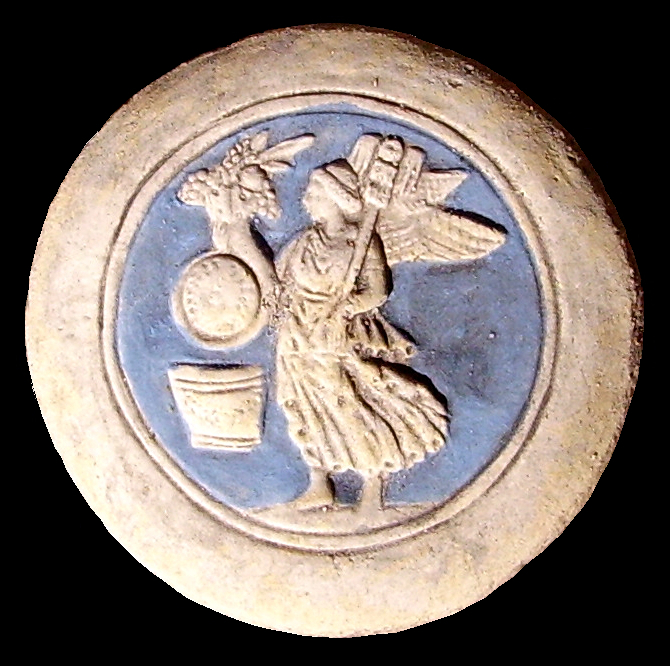 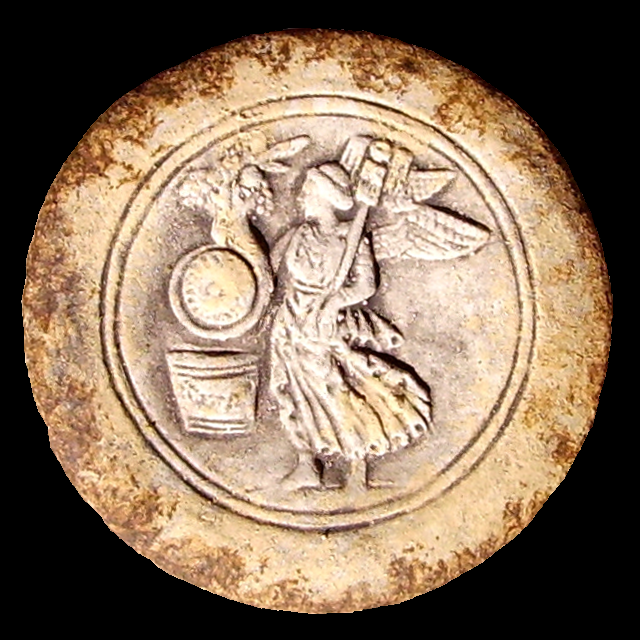 The winged goddess sculpted here is the Roman Fortuna, as shown by the insigna on her shoulder, and it is the personification not of the men’s destiny, but of what they could come across and have to answer to. 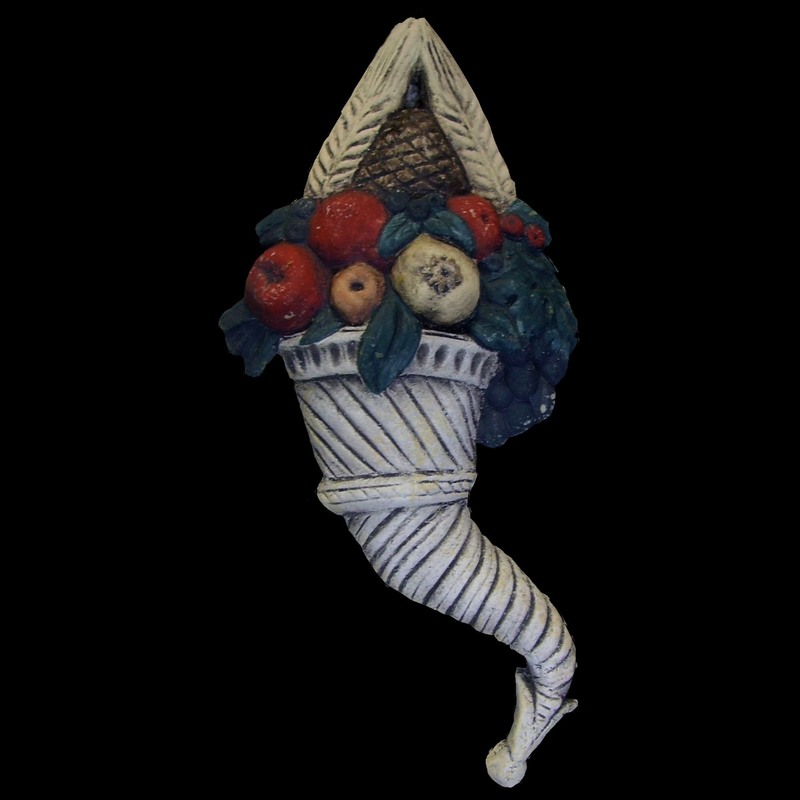 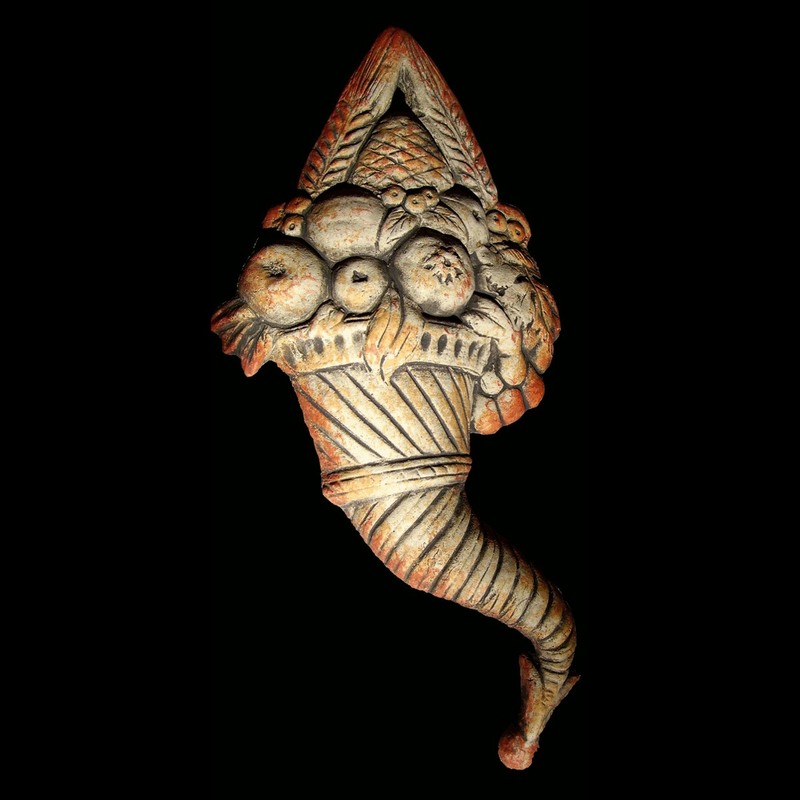 The goddess is holding the horn of plenty, from which she gives out goods and presents to men; but she uses a ball too, pictured inside the horn spiral, which she throws at will. 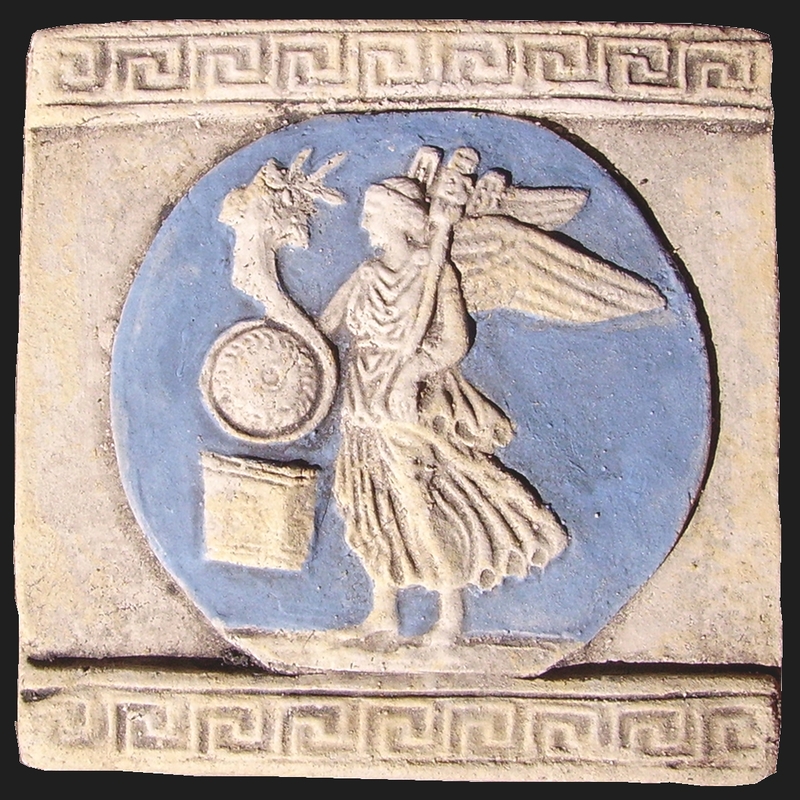 Nobody can foresee where a ball will bounce: at any moment, the goddess Fortuna can spread her wings and fly away.